VfL is a registered charity and you can support our work by making a donation or leaving us a legacy in your will. There are other ways you can support what we do, including becoming a Friend of VfL, and we have some further suggestions on this page. If you would like to see our accounts, please visit the UK Charity Commission website where they are available for viewing. ​If you would like to support our activities, you can donate now through PayPal with either a PayPal account or a credit or debit card. Just click on the Donate Now button below. If you would like to leave a legacy to fund our future work, please be assured that we will use your generous donation wisely for the benefit of future generations of older vegetarians and vegans. For more information on leaving VfL a legacy, please contact us. VfL is on ebay for charity so if you sell or buy on ebay you could consider making a donation via ebay. We would also be happy to accept small items to sell on ebay to raise money directly for our charity. Please contact us if you would like any further information. ​Switch your energy supply to Ecotricity and not only will you be using green energy at a fair price but as a thank you they will donate up to £60 to Vegetarian for Life. Quote reference VFL1 if you call them on 08000 302 302. You can also help us by using Everyclick. Everyclick is a search engine that gives half of the revenue it generates to charity. Use it to raise money for Vegetarian for Life whenever you search the web. There’s absolutely no charge to you or to us. Make Everyclick your favourite search engine and use Everyclick for all your searches. 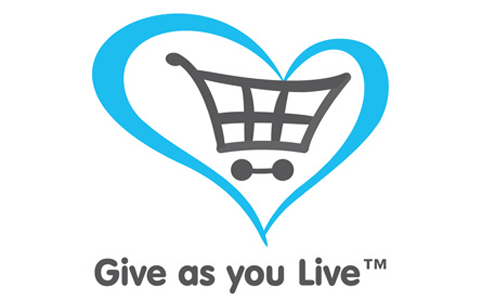 You can help Vegetarian for Life by using Give as you Live to make online purchases from a variety of online stores, such as Amazon, M&S, Argos, John Lewis and more. It won’t cost you more but we will get a referral fee every time you use it. • Depending on its age and condition, they can either recycle it at a green facility, or send it to a salvage auction. Scrap donations raise an average of £100 for the charity, with auction cars often raising much more. Since Giveacar was set up in 2010, the organisation has raised over £700,000 for over 800 charities! To arrange donation of a car visit Giveacar or call 020 0011 1664, quoting Vegetarian for Life as your preferred charity.